The Preston Medical Library at the University of Tennessee Graduate School of Medicine in Knoxville, Tennessee, is seeking applicants for a Clinical and Research Services Librarian. Rank shall be commensurate with experience and qualifications. 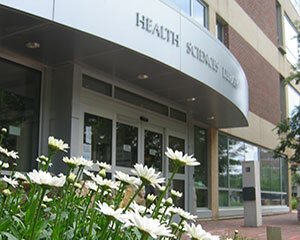 This is a faculty position which provides medical reference services in the library and clinical setting. Working with assigned departments, the librarian determines information requirements, and plans the delivery of services to support evidence-based practice. This may include attending rounds, department meetings or other forums. This position will represent the library on a Magnet nursing shared governance council by attending meetings and offering other support to nursing staff. Expert searching of the medical and nursing literature using a variety of sources is done as part of general reference services and as part of a systematic review service that will be developed by this position. The systematic review service will offer consultation, literature searching and authoring of the methods sections of manuscripts. Other reference services provided include staffing the reference desk, developing and teaching education programs, developing research guides, using reference software, maintaining reference statistic, outreach to the community and providing information for the Consumer and Patient Health Information Service. This position initiates and participates in research and scholarly activities and will participate in medical library professional organizations locally, regionally and nationally. Other library duties may be required as need is determined. Librarian for Collections and Instruction is a revamped position that now includes developing and providing effective and innovative client-centered education in client settings, in the library, and virtually. The Community Outreach and Global Health Librarian is a new position that brings consumer health resources and health literacy training to rural and underserved communities in North Carolina, and partners with UNC global health projects to support global health research, teaching, and service. Reflections on the SC/MLA CE Course, "Systematic Reviews: The Role of the Librarian"
Systematic reviews have been daunting to me in theory and practice, so for a challenge and an opportunity to expand my understanding of them I signed up for the SC/MLA CE class, Systematic Reviews: The Role of the Librarian. The instructor, Margaret Foster, MS, MPH, AHIP, from Texas A&M University provided many pointers from her 500+ systematic reviews she has participated in with students, faculty, and staff. Defining the question to be answered with the proposed systematic review was key. It didn’t hurt that in her slides she presented many of the phrases that people think are systematic reviews along with an image from The Princess Bride. She shared how to conduct the reference interview for a review article. She provided tools to help establish that the project framework is well designed before jumping into searching databases. Reminders on the recognized protocols was helpful as well. There were several resources for organization and writing that were intriguing to me and I have added them to my own toolbox to share. They include: PRISMA Flow Diagram Generator, Rayyan, and a book titled, An Introduction to Systematic Reviews by David Gough, Sandy Oliver, and James Thomas. The course was well organized and the time flew by with activities and lecture. I can say with confidence that I am no longer daunted by the thought of working on a systematic review. After this course, I feel much more equipped in knowledge and resources for such a project. 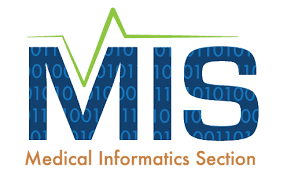 activity that will contribute to the advancement of the field of medical informatics. If you’ve been wanting to take a course or attend a conference related to medical informatics but haven’t had the funds, then this is an opportunity worth exploring! MIS membership is a preferred qualification, so as a member you already have a step up on the competition! The deadline to apply is December 1, 2017. For further information or to apply, please visit the MIS/MLA grant information page.